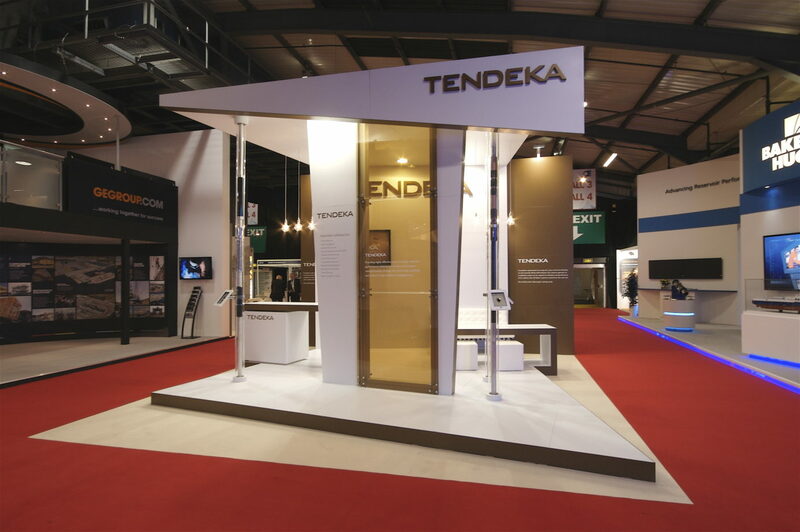 Tendeka will be exhibiting at the Annual Technical Conference and Exhibition from the 28th – 30th September 2015 at the George R. Brown Convention Center, Houston. The flagship event of the Society of Petroleum Engineers is one of the premier events in oil and gas exploration and production covering the upstream aspects of conventional and unconventional resources from across the globe. Our team will be on hand to introduce you to the latest technologies which includes sand control, Inflow Control, Zonal Isolation and Reservoir Monitoring. 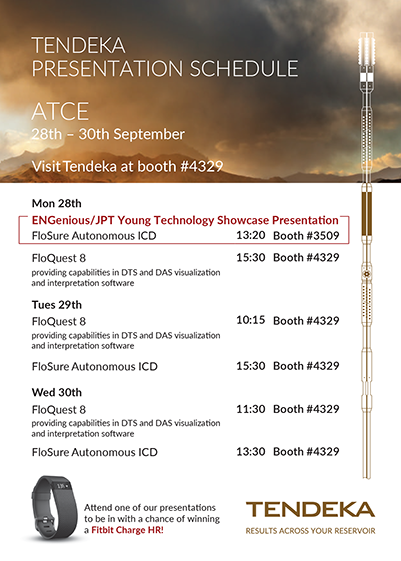 We have a schedule of presentations taking place over the 3-day event which include our FloSure Autonomous Inflow Control Device and the launch of our new reservoir monitoring software FloQuest 8, which will provide capabilities in DTS and DAS visualisation and interpretation software. In addition to the presentations we will be conducting a prize draw after each presentation for a chance to win a Fitbit Charge HR! Visit us at booth 4329 for your chance to find out more about our full range of products and services.